In case you are seeking tough vehicle that can show compatibility with rocky paths then it will always a good idea to think for a jeep. This special automotive manufacturers possess a longer history of coming out with trucks as well as SUV that can accompany you on adventures away from the highway. The term Jeep is commonly used for referring towards all forms of SUV no matter the vehicle of interest is a true jeep or not. Interesting thing is from where this term originated is actually an enigmatic it is believed that it came from GP while some also think that this was a pet name that was taken from one of the characters of the popular Popeye comic. They received good appreciation and two more models were introduced in the year 1950s that were named as CJ-3B, CJ-5. The latter enjoyed a great reputation and stayed on demand for an extended period of time. It stayed in the market for 30 years. In the 1953 the Willys Overland was purchased by Kaiser. When the Wagoneer was introduced in the 1960s jeep touched new heights. This vehicle was brought forward for energetic families also this was the earliest SUV that were 4 wheel drive vehicles which also contained automated transmission. As a choice upon CJ-5 and CJ 6 "Dauntless" V6 was introduced in the year 1965. For the first time Jeep CJ was combined with V6. During 1970s the Kasier Jeep was purchased by American Motors Corporation and brought forward new models like Cj-7. In addition the organization also incorporated latest technology and introduced for the first time in the world automatic full-time four-wheel-drive system. Entitled as Quadra-Trac it was present in CJ-7 also in fully sized jeeps. In these ten years these jeeps had achieved immense appreciation because of the fact that these vehicles have become very much popular among the major sections of American purchasers. During 1980s Cherokee as well as Wrangler were introduced. It is important to mention that Cherokees attained the status of being the new generation of SUV and their popularity increased with the passage of time. Wrangler took the place of CJs in 1987 and provided the main qualities of CJ along with many other privileges. In the similar year American Motors was purchased by Chrysler and jeep became a part of Chrysler group. In the year 1993 the very popular Grand Cherokee was introduced this new model provided many more privileges and comforts that brought a lot of fame to it. 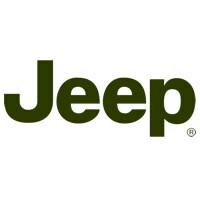 In the year 1998 Daimler-Benz and Chrysler merged and DaimlerChrysler started to govern jeeps. They introduced some newer models, but they failed to capture the particular interest of purchasers. In the year 2007 the Chrysler group was purchased by a private parity firm and now it is controlled by Fiat. In the near past the organization had included some new alluring models to the range. They have also paid a lot of consideration to the improvement in performance as well as quality in the hood as well as cabin. Keeping these aspects in mind it can be stated that jeeps will maintain a dedicated group of followers and also their popularity will manage to earn more fans.